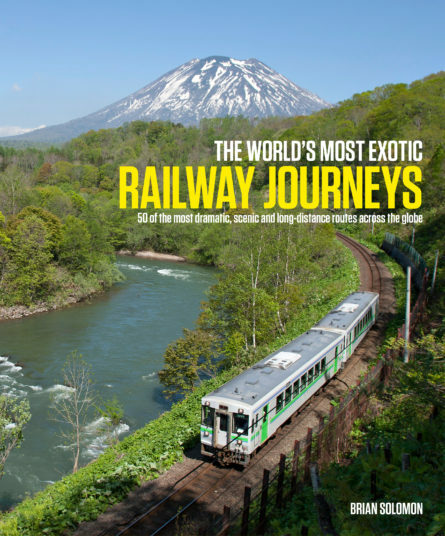 A portrait in words and photographs of over 50 of the most exotic railway journeys across the globe, in Asia, Africa, Australia, North, Central and South America, and Europe. Some of these, such as the Orient Express route from Paris to Istanbul, are historical and no longer possible as a single journey. For these, full details of how to trace the route today accompany the description of the original concept. Other journeys are included because of the exciting countryside they pass through or the challenging nature of the track building, such as the Colombo to Kandy route in Sri Lanka or the line to Machu Picchu in Peru; others because of the access they provide to remote areas of the planet, such as the railway to the Arctic circle in Finland. Each journey is accompanied by a route map and illustrated with contemporary images. Brian Solomon was editor of Pacific Railnews for several years before becoming a freelance writer and photographer. His work has appeared in numerous railway publications and he has authored more than 50 books, including the bestselling The World’s Most Spectacular Railway Journeys. He has travelled to ride and photograph railways in more than 30 nations around the world. For this book he has brought together a team of expert contributors, all with firsthand experience of the journeys.